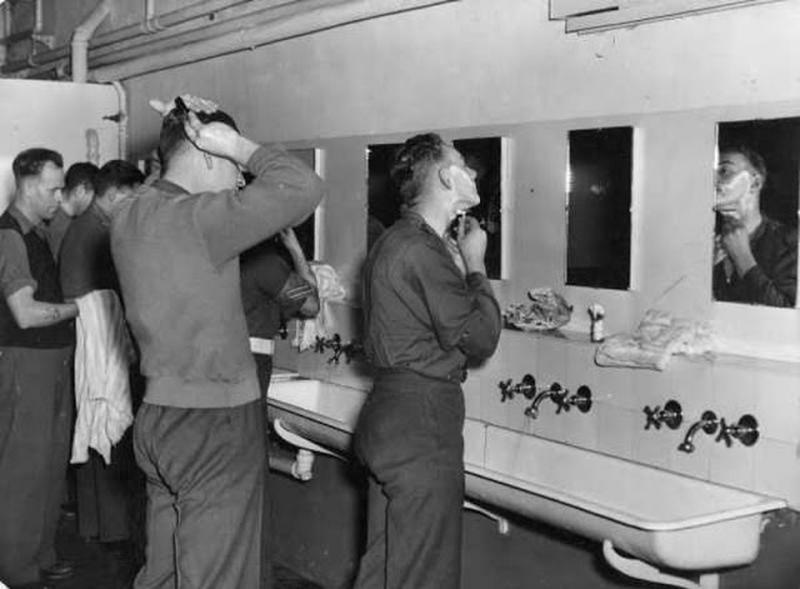 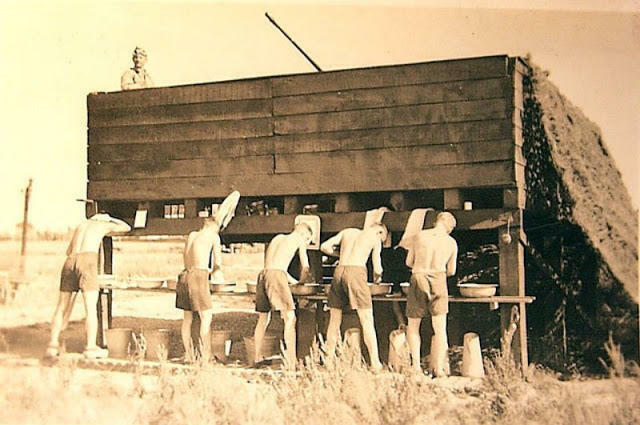 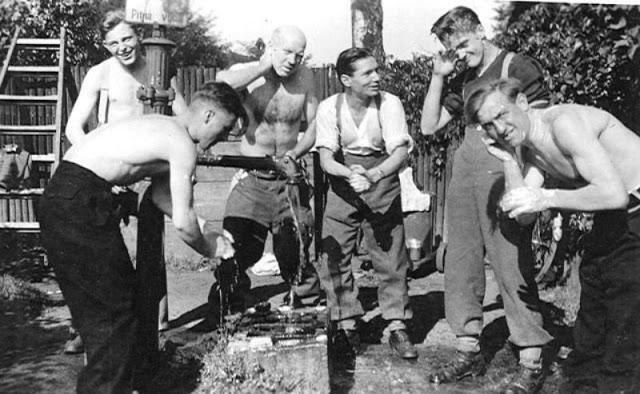 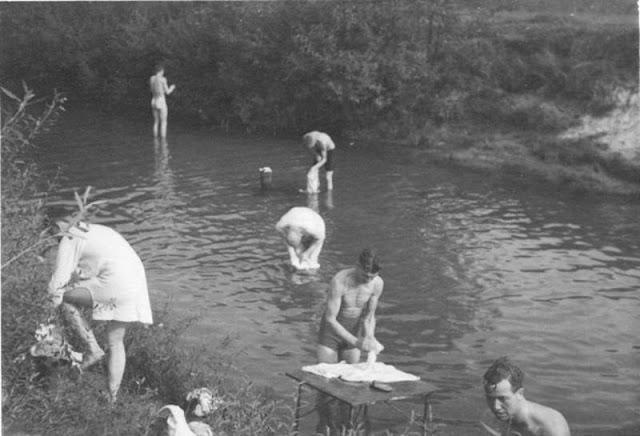 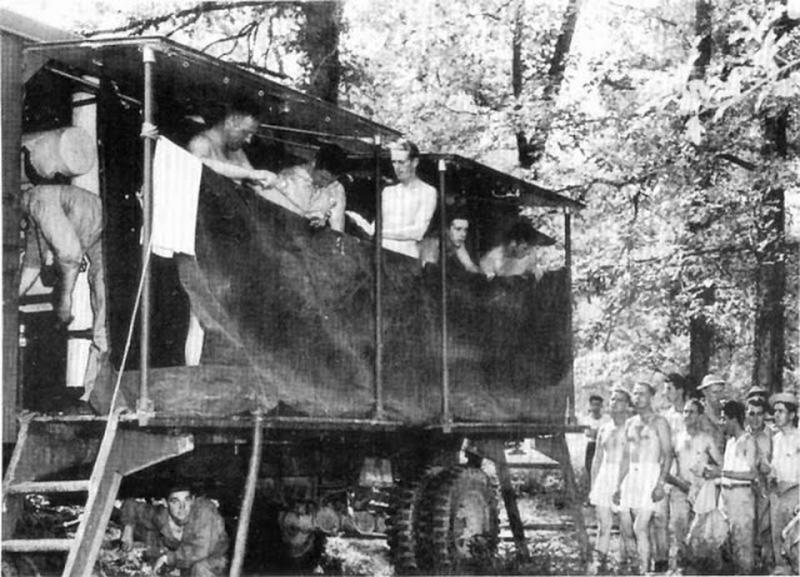 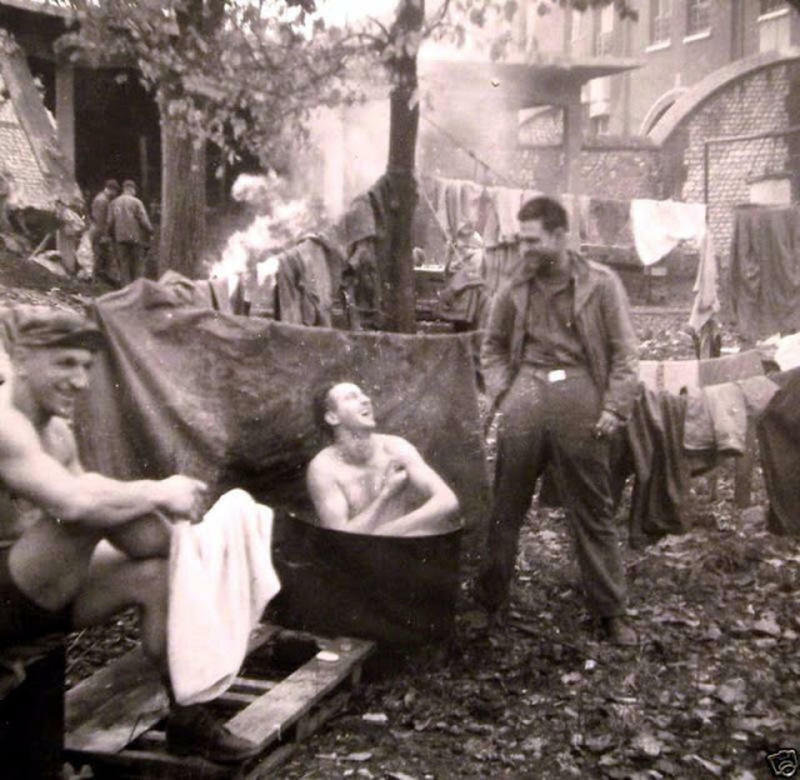 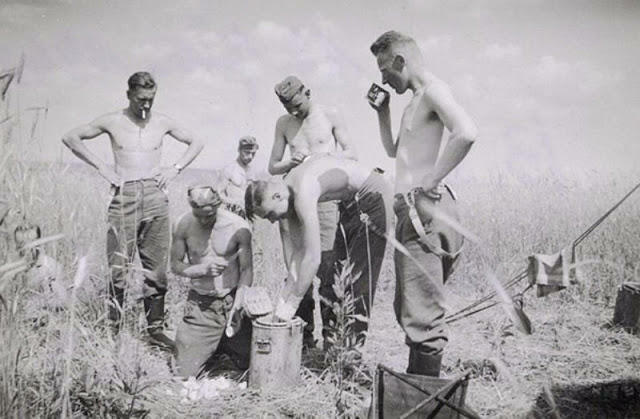 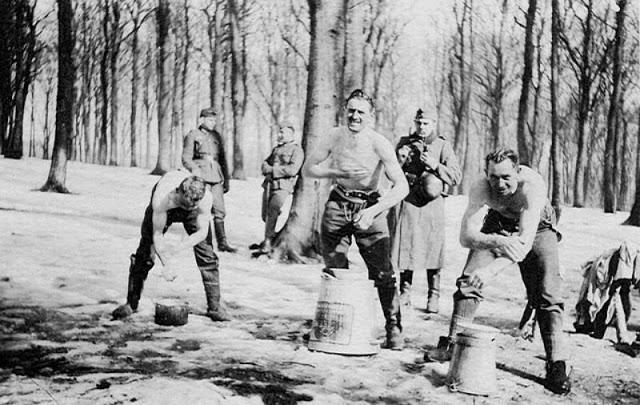 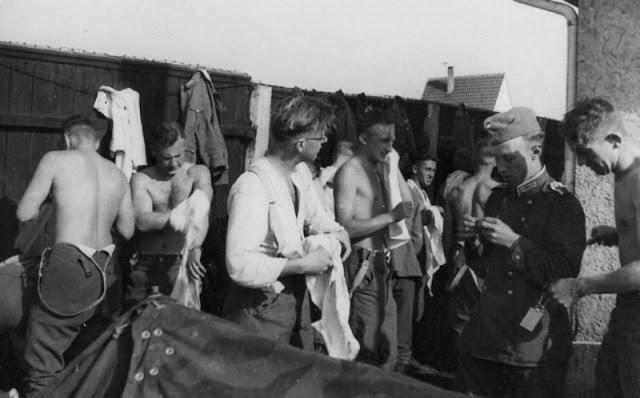 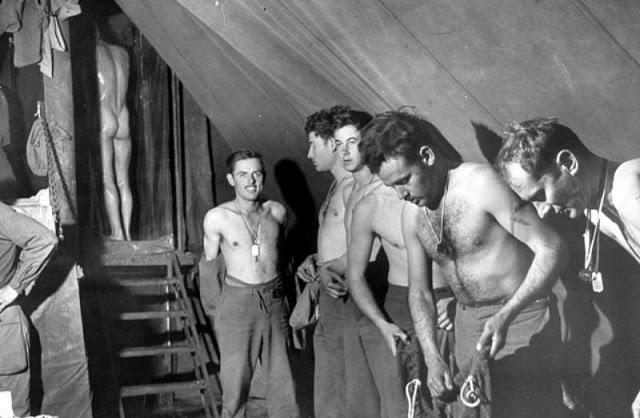 Between battles soldiers were able to bathe in makeshift showers and in rivers, lakes and streams. 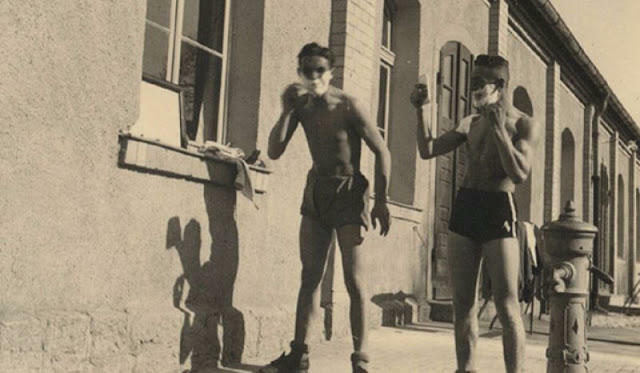 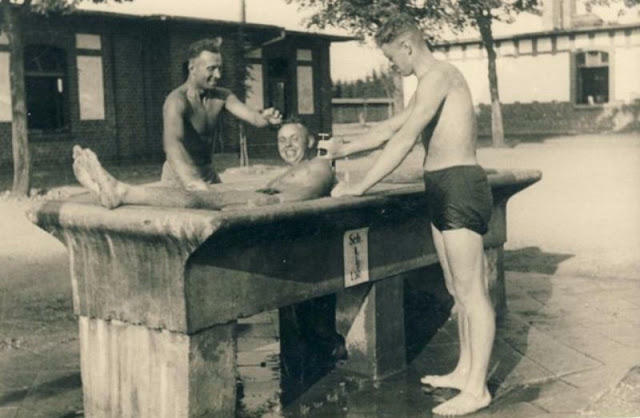 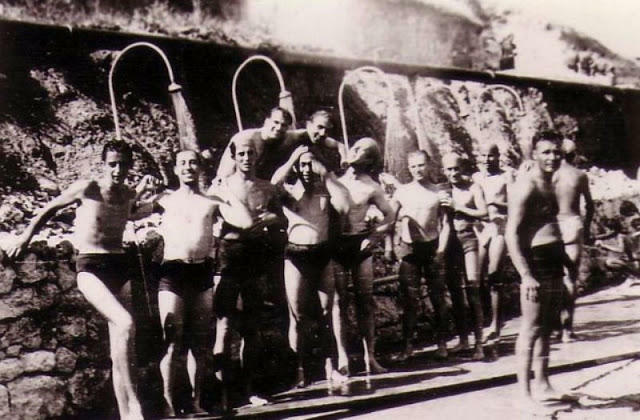 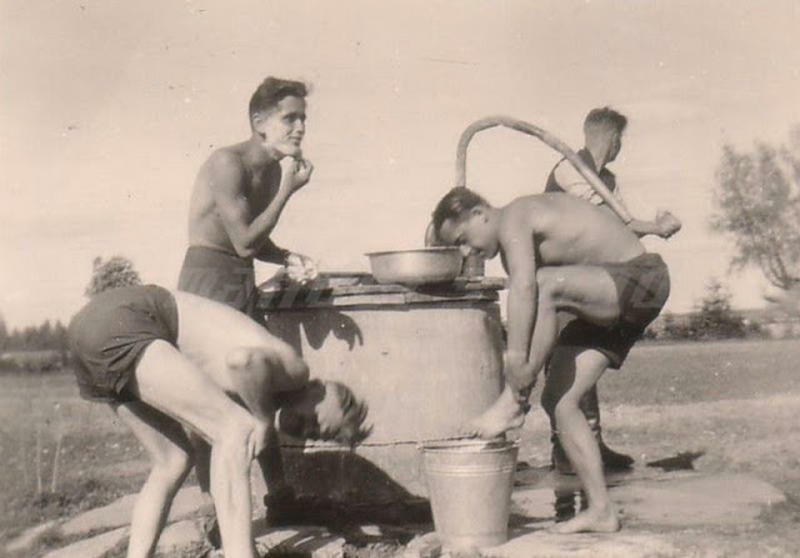 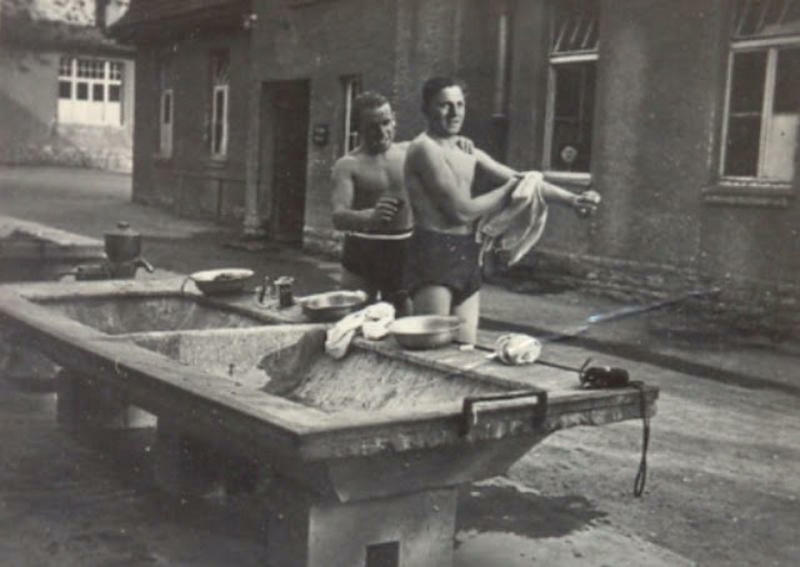 These personal snapshots of World War II soldiers bathing and swimming are a record of the unselfconscious camaraderie between young men at war. 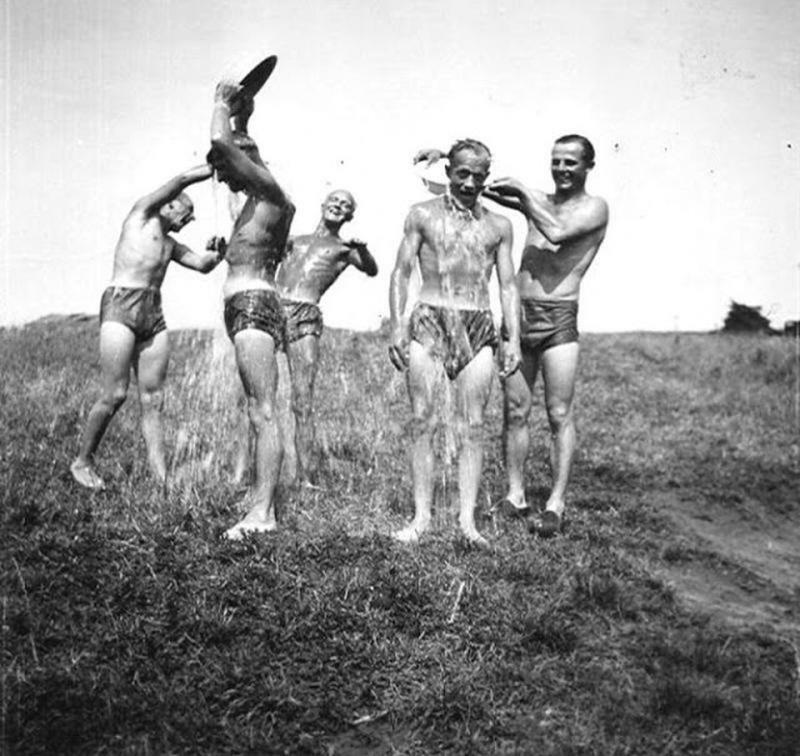 Troops were encouraged by their superiors to form close “buddy” relationships, and these bonds were often cemented through horseplay.